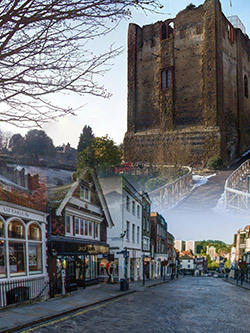 The town of Guildford in Surrey is known for a fantastic shopping experience. Of course with the Guildford business park and easy access to two popular airports in Heathrow and Gatwick. Your Advanced Microsoft Access 2010 Training Course training course in Guildford Surrey can be conducted at your premises, where we can bring laptops with the Microsoft Access 2010 Training Course already loaded. We can even bring a projector along with power extension leads, leaving you to concentrate on learning. Conducting Microsoft Access 2010 Training Course training courses in Surrey is a relatively new venture for us so please try us out and remember to tell us and others what you think.